Ron has served as Executive Director at Food For Thought since 1996. He brings a combination of skills to the organization which includes previous non-profit executive management, a B.S. degree in computer science with 15 years of related work experience, and management abilities first learned at a family-run business. Ron played an essential role in the capital funding campaign and the building project for Food For Thought’s current facility in Forestville. He has provided stable leadership by staying focused on the mission of providing excellent nutrition to people in Sonoma County affected by HIV and other serious illnesses. Meghan is passionate about individual and community wellbeing. She has been working with nonprofit organizations for twenty years and brings a wealth of skills in leadership, nonprofit management, and program development. Meghan is excited to be joining Food for Thought at this time of growth and expansion. She holds a Master of Social Work and a B.A. in Communication. Her leadership in HIV services, as the Program Director at Face to Face, earned her the great honor of being Sainted by the Russian River Sisters of Perpetual Indulgence. Meghan spends her free time hiking, reading, and playing games with her amazing daughter. As a Returned Peace Corps Volunteer, Meghan is always planning a trip back to Ghana. Sorrel Allen is a gardener, educator, and herbalist. With over 10 years of experience, Sorrel specializes in empowering local community to create and restore natural and edible landscapes and to grow food lovingly and sustainably, making it accessible to those who need it most. She wholeheartedly agrees with one of her hero’s, Wendell Berry, that “eating is an agricultural act.” With that in mind, Sorrel aims to grow food & herbs in a way that improves biodiversity and soil health while inspiring reverence for food, land, plant medicine and community. She is over the moon to be stewarding Doug Gosling's loving legacy in the Food for Thought garden and honored to share the magic, beauty, and nutritional goodness cultivated therein with clients and volunteers. When Sorrel is not at Food For Thought she can be found teaching garden science at her daughter’s preschool, playing with her two magical children, restoring herself on her yoga mat, tromping around in nature, tending to her land in Sebastopol, cooking and crafting. Mary comes to Food For Thought with over ten years of nonprofit experience in fundraising, relationship management and special events. She has also owned her own furniture business and co-owned a painting company. She is a Sonoma County native who is very happy to be serving in the community she was raised in. She has two wonderful adult children, Katie and Steven. She enjoys entertaining, cooking, walking, reading, and being outdoors as much as possible. For inspiration, Mary looks to the words of renowned anthropologist Margaret Mead: "never doubt that a small group of thoughtful committed citizens can change the world; indeed, it's the only thing that ever has." Robert brings a wide range of experience to the position of Office Manager. 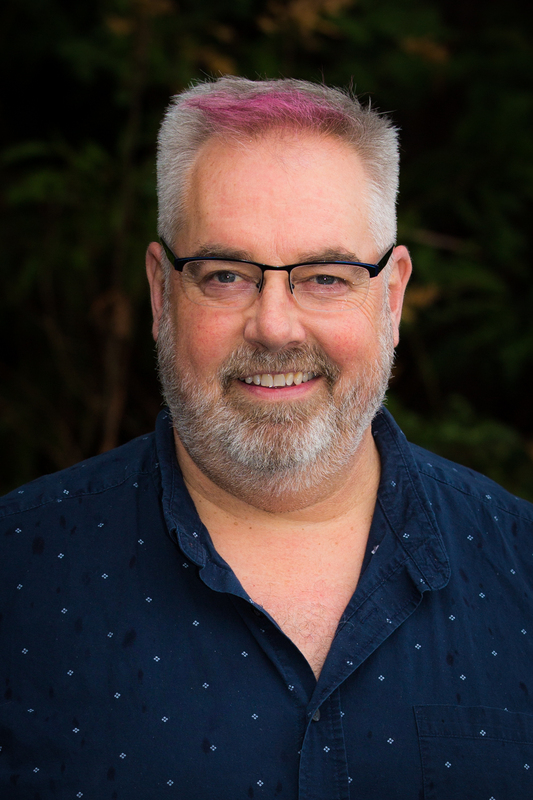 His career includes 20 years in the film industry managing demanding project schedules, over ten years in the wild world of the World Wide Web, volunteer service with Food For Thought and a number of San Francisco non-profits including Frameline, IGLHRC, and Digital Queers. He enjoys using his skills and knowledge to help make Food For Thought an even better resource for its clients and the community. Liv was born and raised in Sonoma County. She came to Food For Thought with over five years of experience working with a volunteer based nonprofit organization. She found it very fulfilling to work somewhere that really gave back to the community that she lives in. Her love for nonprofits and giving back to the community really paved the way for her to be involved with many volunteering opportunities herself, including being a foster parent to animals at risk in overcrowded shelters. Liv shares a passion in healthy living and eating and truly believes in the power of food as medicine. In her free time, Liv enjoys spending time with family and friends, hiking in nature with her husband and their dogs, practicing yoga and creating mixed media artwork. Pepe joined Food For Thought in 2011 as a Friday food fairy volunteer! After several years of flying around, as only a Food Fairy can do, Pepe was asked if he was interested in working part-time at the Antique Store. Several years later, Pepe was promoted to Assistant Store Manager. He assists in the daily running of the store, volunteer management, and promoting the spirit of volunteering for a nonprofit. Pepe comes from an international background of retail and management including: communications center in a hospital, popular restaurants located in busy tourist spots in Ireland, and an international make-up company. Pepe has a quick wit, optimistic outlook, and loves his hats! Look for him on a bow-tie Saturday! When at home, he unwinds with Tim, his husband, who took his hand in marriage back in 2008 when that ‘window’ of opportunity existed. Two doggy daughters, Lady BellaDonna and Miss Jessica complete the modern 21st century family! Jonathan came to Food For Thought as a weekly volunteer in 2010 and joined the staff in 2014. He brings a diverse range of computer skills, a head for numbers, and a passion for creative problem-solving to his role as Administrative Assistant, and is thrilled to be able to use these skills to help keep the food bank running smoothly and efficiently during a time of growth and change for the agency. Jonathan is also a part-time student pursuing his Bachelor's degree in Computer Science at CSU Monterey Bay. Dominique began volunteering at Food For Thought in 2013 while completing her M.P.A. in Nonprofit Management at Sonoma State University. She later joined Food For Thought as a staff member in 2017. Dominique has worked in the nonprofit field for the past five years in program, marketing, and development roles. In her free time, Dominique enjoys watching baseball, running, and spending time with family and friends. Karen began working with Food For Thought in 2014 and brings ten years of experience in the nonprofit sector. With an M.P.A. in Nonprofit Management, she has worked in a variety of program, administrative, and development roles for organizations including Daily Acts, the Tuolumne River Trust, the Salmonid Restoration Federation, and the Ruth Bancroft Garden. Originally from Sebastopol, Karen has a passion for the outdoors. 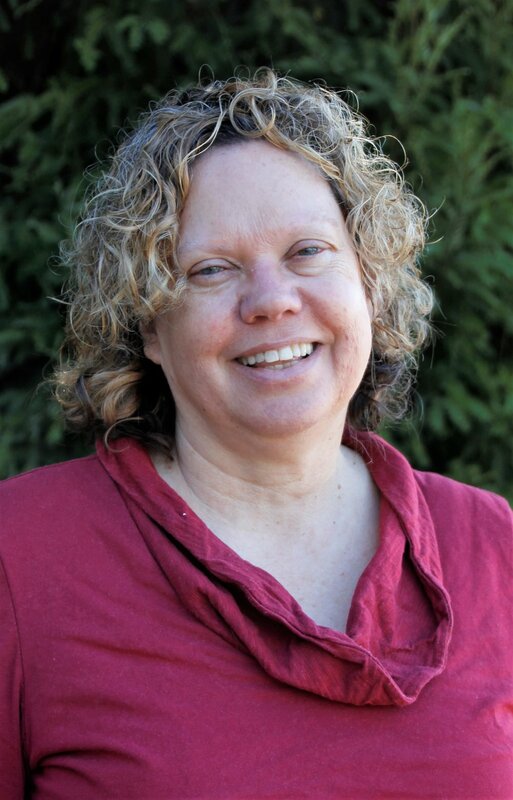 Karen especially enjoys permaculture gardening, hiking, and mushroom hunting, and is also an accomplished Irish Step Dancer. Mark A. 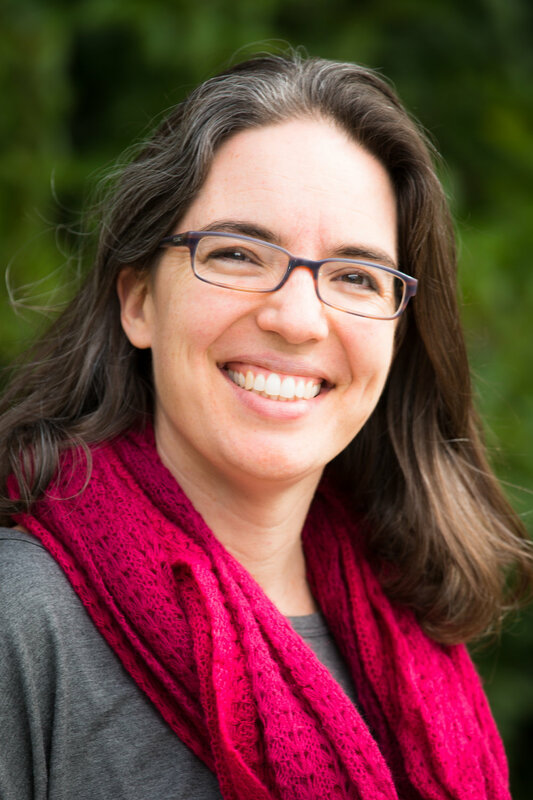 Green is a nonprofit development professional with experience in both fundraising and public policy efforts throughout the North Bay. He is best known locally as the founding Executive Director of Sonoma County Conservation Action, which he developed into the largest conservation organization on the North Coast during his ten-year tenure. He has consulted to public agencies, nonprofits and political campaigns as an analyst, organizer, communications specialist and lobbyist. He is excited to bring his skills to bear for Food for Thought's mission. A writer, poet, musician and nature enthusiast, Mark lives in the Larkfield neighborhood of Santa Rosa with his delightful wife Nemea and Miri, the Very Soft Cat. Dave first came to Food For Thought in 2009 as a volunteer at the antiques auction, then in the food bank, and as a volunteer photographer. He was hired for the Food Program and Facilities Manager in 2012. He brings a wide variety of skills, technical knowledge, organizational ability, and dedication to Food For Thought. Dave started as a box boy in a small grocery store in Davis where he was born and raised. He also worked in Sacramento for Bel Air Markets. With over 25 years in the grocery industry, he has worked in many positions, including courtesy clerk, checker, and grocery manager. In his free time, Dave gardens, works on old houses, hikes, and enjoys spending time with family and friends. He is a cheetah photographer at Safari West and has a keen interest in landscape and portrait photography. Pastry chef, entrepreneur, garden coordinator, volunteer manager, trainer-Ruth’s resume reflects multiple careers in a lifetime. Ruth came west in 1986, California dreamin’... about those great state schools with reasonable tuition, which she found at Sonoma State University. She later returned to SSU to complete her M.A. focusing on Community Food Systems. In the mid 90's, Ruth considered how to get involved in a community effort near to her heart, and decided to try food drives with Food For Thought. A few hours, one or two Saturdays a month was do-able and fun—plus there was a lot of heart. Ruth later served on Food For Thought's Board of Directors, and has volunteered at Calabash and Dining Out for Life. After ten years in the entrepreneurial trenches of her home delivery service, Ruthy’s Real Meals, she is happy to be cooking at Food For Thought, doing what she loves! Jude has been connected to Food For Thought since it's inception. After working with people living with AIDS in the early days of the epidemic, Jude continued to work in the world of human services and social work. Happily, she joined the Food For Thought team working in client services two years ago. She feels she is doing the work that is close to her heart. Jude's loves are spending time with her precious family and friends, being on or near the ocean, gardening, cooking and expressive art. Roberto's résumé includes working one-on-one with Spanish-speaking children and families for Growing Readers, a non-profit that partners with Santa Rosa’s libraries. His experience with that job made him realize the importance of making sure Latino and Spanish-speaking populations have access to resources that might be otherwise denied to them because of the language barrier. Roberto recently moved to Sebastopol and appreciates the opportunity to unite his love for people, food, and community service at Food For Thought. Roberto was raised to value community, kindness, and common sense. His parents, both natives of Mexico, moved to California when Roberto was a few months old to give Roberto opportunities only found in the States. Roberto was drawn to the creative and communal values of working with food and worked in the kitchens of several fine-dining restaurants in Sonoma County. He holds a B.A. in philosophy from the University of California, Santa Cruz. Originally from a small town in Northern Illinois, Helen graduated from Augustana Collge with a B.A. in Anthropology and minors in Sociology and Music. Upon graduation she joined AmeriCorps and was matched for a year of service at Redwood Empire Food Bank. She spent the next two and a half years at the food bank working as the Volunteer Services Coordinator before joining Food For Thought as the Volunteer Program Manager. In her free time, Helen enjoys running, practicing yoga, and playing violin. She is currently pursuing a Masters in Food and Agricultural Law & Policy through a distance learning program at Vermont Law School. Sheri comes to Food For Thought with both nonprofit and corporate communications experience. Having lived in Sonoma County for over 20 years, she has worked for Sutter Health’s marketing communications group in San Francisco and remotely for many years with Atlanta-based Randstad US. A native Californian, Sheri grew up in Texas and received her B.A. in international business from the University of Texas at Austin. While raising her two boys, Sheri earned her volunteer stripes in Sebastopol’s public schools. She is delighted to be part of the Food For Thought team and work alongside the amazing volunteers who bring nutrition and compassion to people in all corners of Sonoma County. Mariana is currently on a service term with CalServes AmeriCorps and will be with Food For Thought until August 2019. She completed her undergraduate studies at San Francisco State University and earned a B.A. in Journalism and a minor in Labor Studies. During her time at FFT, Mariana will be interacting with volunteers and helping with volunteer projects. She hopes to contribute to the culture of giving and the strong sense of community among the volunteers, clients, and staff at FFT. In her free time Mariana is usually reading novels, especially sci-fi, and finding new series to watch. She also enjoys writing and photography. 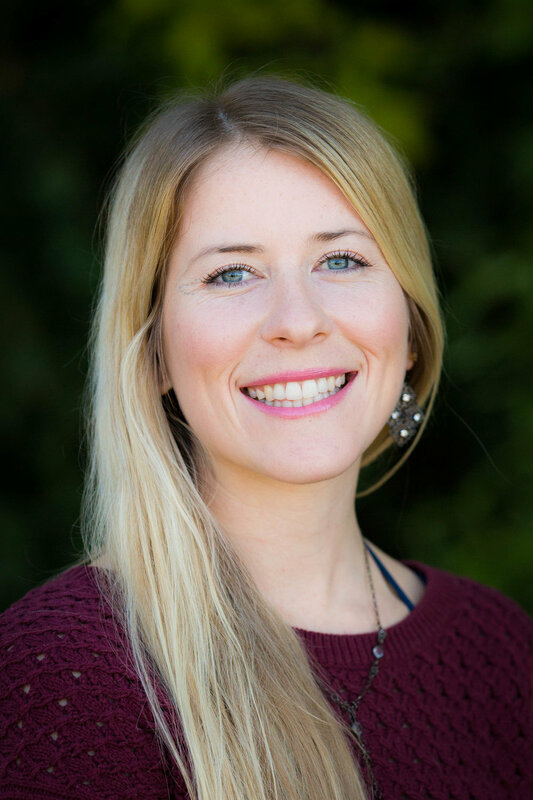 Nina has been working with Food For Thought since 2010 as a Registered Dietitian teaching cooking classes and helping the food bank serve the HIV clients of Sonoma County by providing nutrition expertise. Nina has a B.A. in economics from Mills College and a Master of Library and Information Sciences from San Jose State University. In 2008 she completed a B.S. in Dietetics from Kansas State University and the following year her dietetic internship at UCSF. Nina joined FFT full-time in 2018 as the Client Services Director. In her free time, Nina loves hiking and camping around Sonoma County, sewing, and growing flowers.